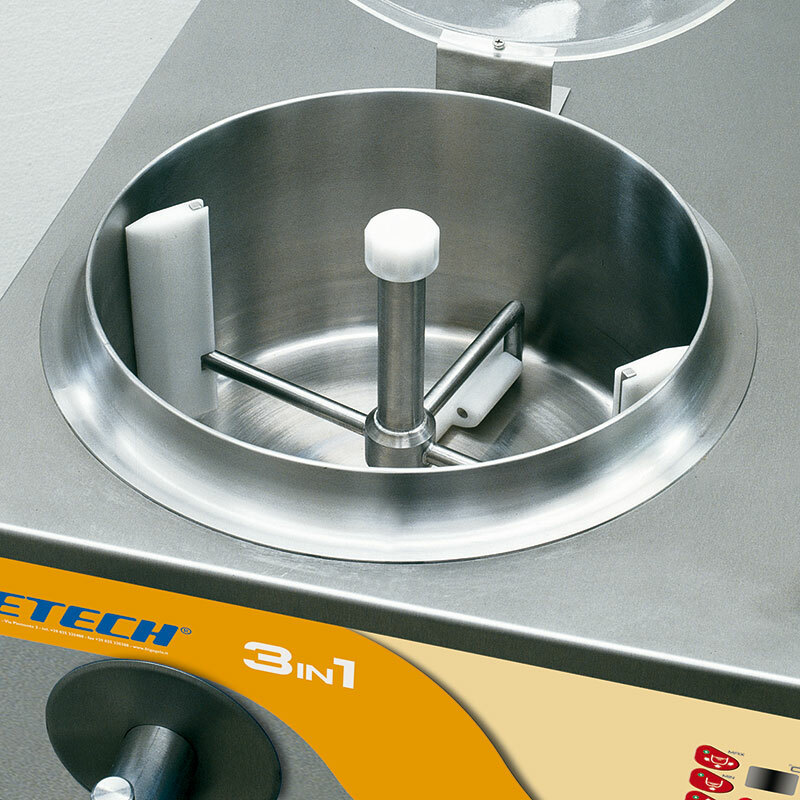 The new Icetech Three in One LCD is a complete and versatile machine at the service of even the most demanding operator. 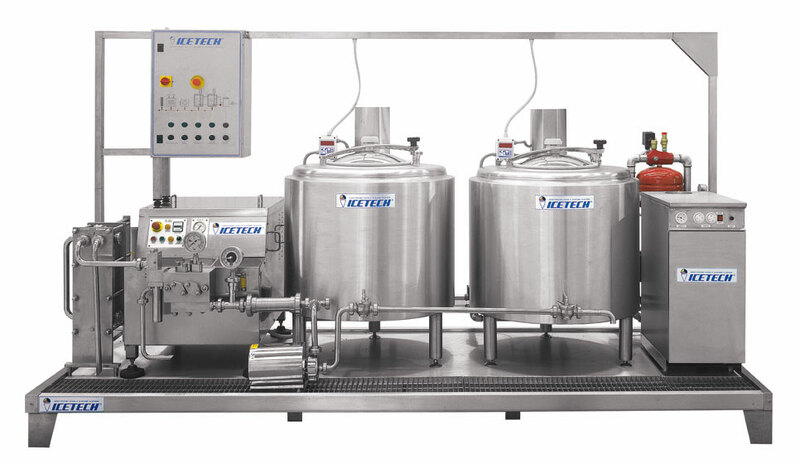 The upper heating and mixing tank and the lower cooling and freezing cylinder operate independently, allowing for a continuous production cycle without any downtime. 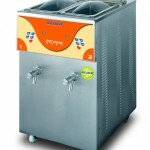 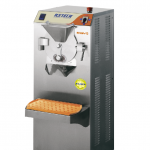 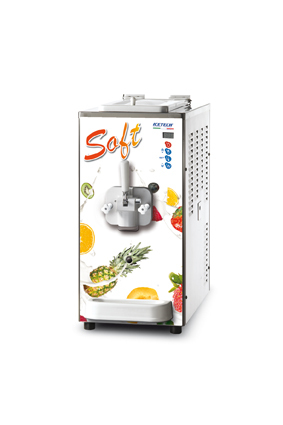 Made with high quality materials, it is the ideal machine for those who have little space available but do not want to renounce a high quality homemade gelato. 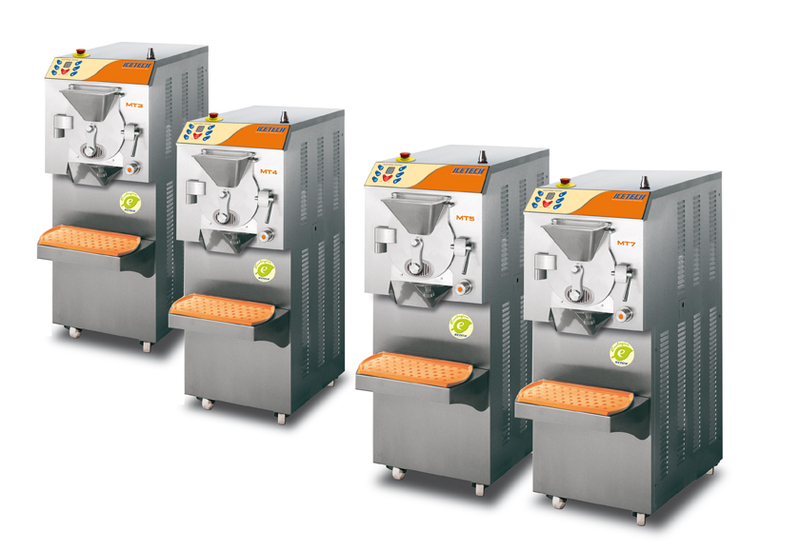 The new Cream Plus, manufactured in four versions, 3-4-5-7, is a real jewel for ice-cream and confectioner’s industry since it is manufactured by making use of the most modern mechanical, cooling and electronic technologies at the operator’s disposal. 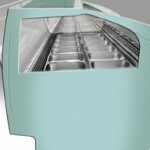 The machine is intended to heat and cool by means of a “bain-marie” system in the upper tank, thus enabling the operator to avoid any type of encrustation and to prepare ice-cream mixtures, delicious pastry creams (on the basis of an intermittent stirring system), extremely good jams, invert sugar and to distemper chocolate. 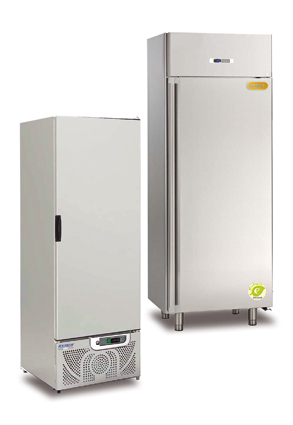 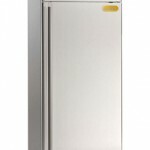 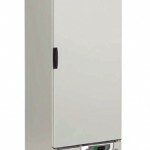 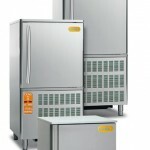 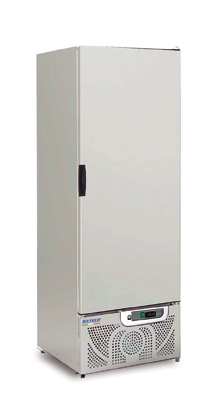 The new Icetech LCD Genyo Batch Freezers have exceptionally innovative features. 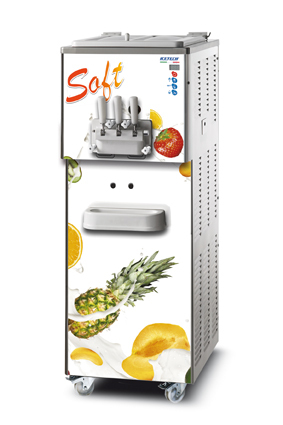 The handy wide LCD Touch Screen monitor allows adjusting and monitoring every stage of machine operation. 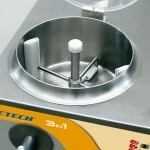 The new Icetech system to control gelato consistency. 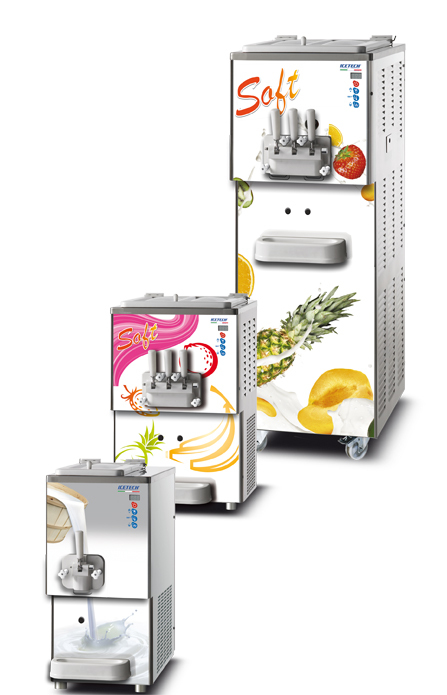 The new and intuitive colour graphics allow controlling the consistency of the gelato in real time and in any moment, even while freezing, adjusting and changing the gelato consistency and creaminess. 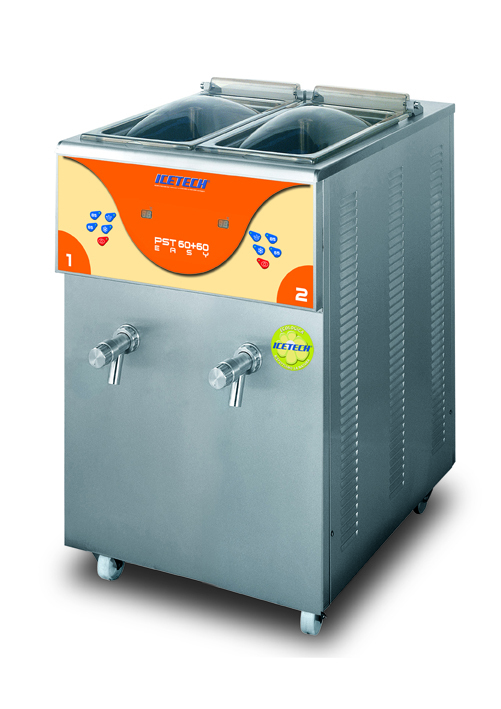 In the event that a minimal amount of gelato is produced, the energy saving function allows automatically reducing the cooling capacity, thereby saving power and water. 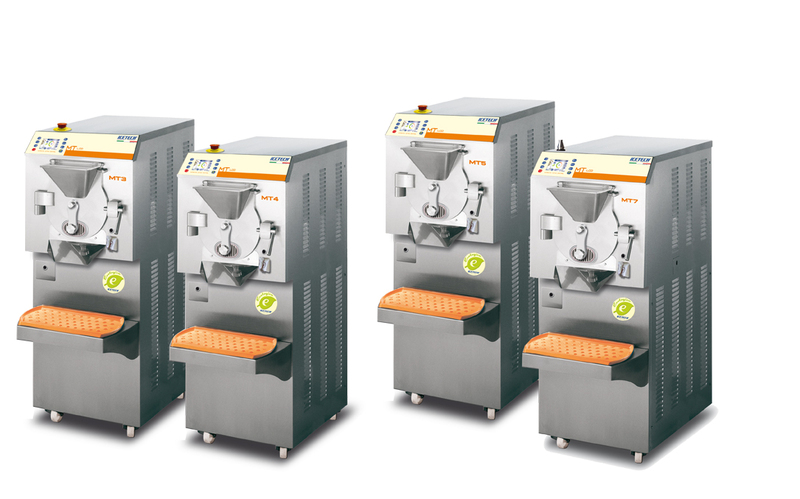 Various automatic programs for batch screening. 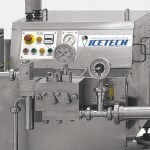 The Icetech pasteurisers are realised with the “Modular” technology enabling the operator to customise the pasteurising cycle according to its own needs. 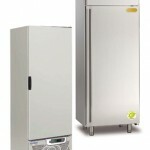 It is a model that has been designed for taking up particularly little room. 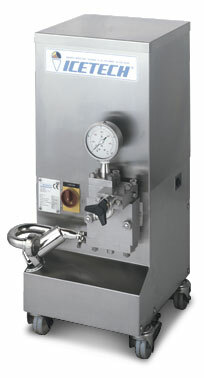 The rectangular tank has a 60/120 lt. capacity. 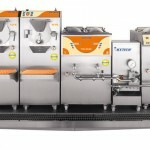 The new electronic card will enable the operator to programme and vary the emulsifier speed according to various temperatures and to obtain a perfectly emulsified ice-cream base. 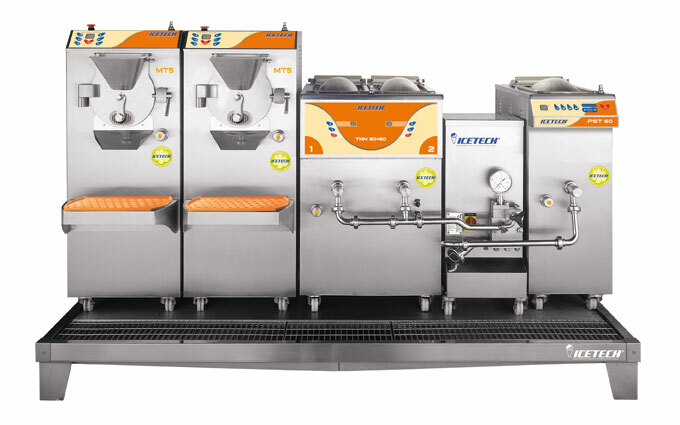 The Pasteurizers Easy Icetech are realised with technology that enables the operator to produce all kind of gelato mixes, in a easy way and with an high level of hygienic safety. 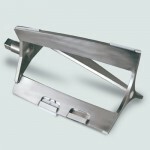 It is a model that has been designed for taking up particularly little room. 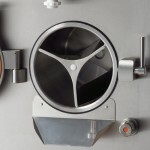 The rectangular tanks have a capacity of 60lt each. 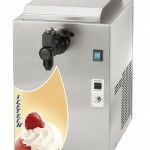 The different working phases are adjusted by electronic commands whit display. 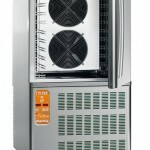 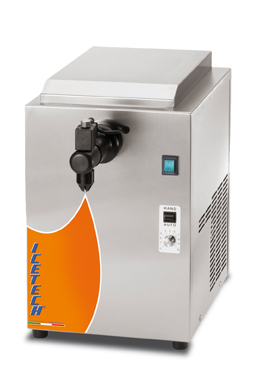 The new Icetech Vertical Batch Freezers are provided with a cylinder with a vertical cooling system and are particularly suitable for obtaining top quality gelato with a user-friendly machine. 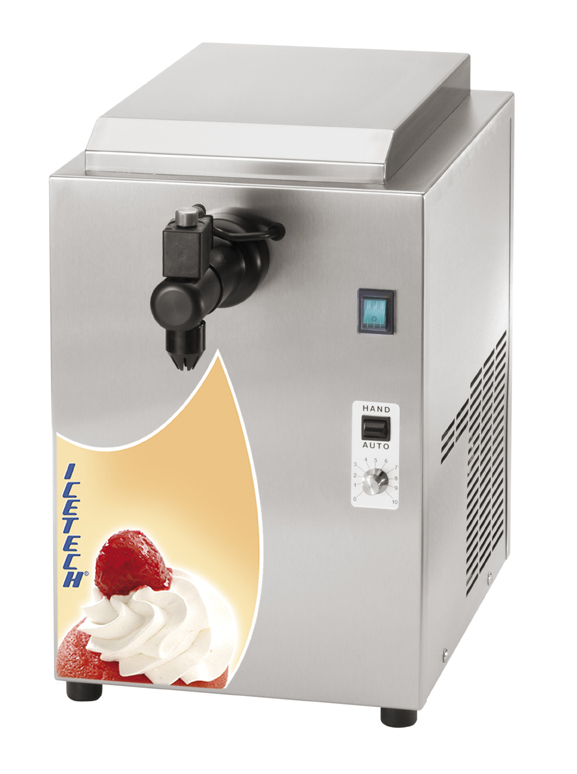 The production process is controlled automatically by an electronic microprocessor that allows the operator to set the texture of the gelato, in order to obtain an always dry and creamy product reducing freezing time and energy consumption. 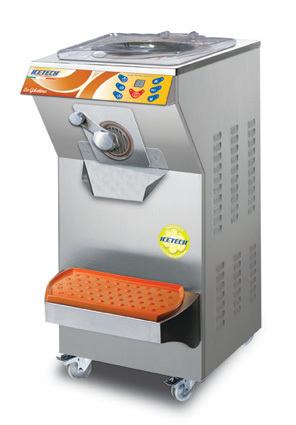 The practical display placed on the front of the machine, allows for the constant control of the gelato texture and of any modification during the production phase. 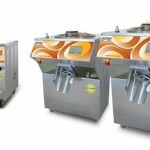 is an innovative and extremely versatile cream-cooker revolutionising the production system.The tank has got a min. 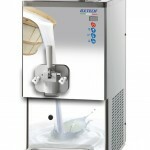 capacity of 2 litres and a max. 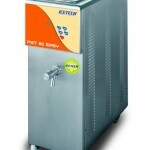 capacity of 14 litres. Crema Mix is the new-born in Ictech family. 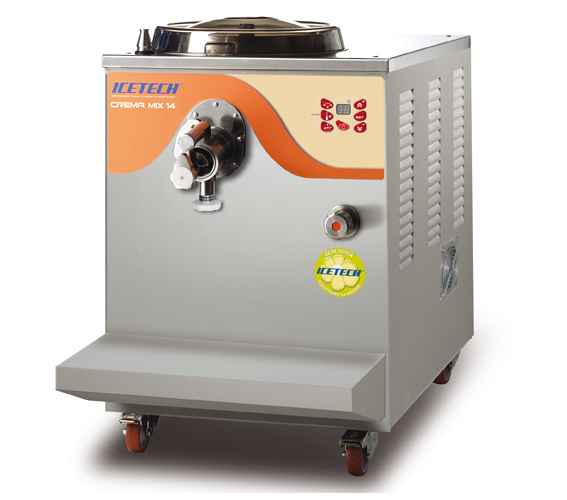 It is a multifunction water-bath cream cooker that can reach 140 °C as maximum cooking temperature, and is able to meet the requirements of the most demanding pastry maker. 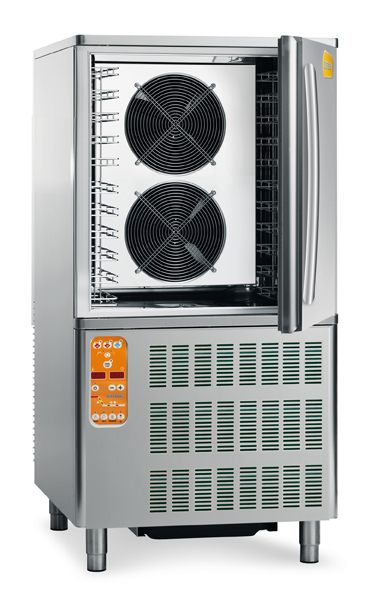 The revolutionary touch screen, allows memorising 20 automatic recipes: 17 preset recipes that can be modified by the operator and 3 more custom recipes. 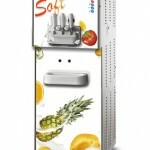 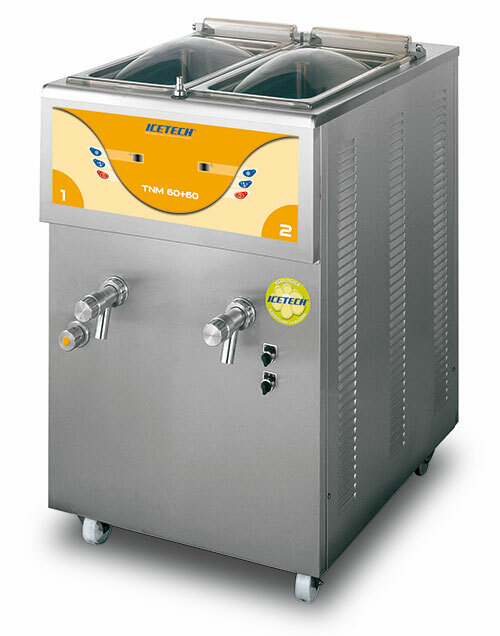 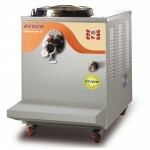 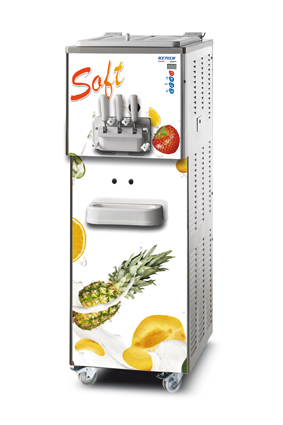 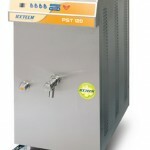 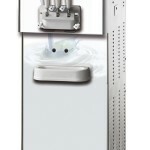 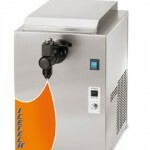 The up-to-date Soft machines are the newly-born Icetech machines. 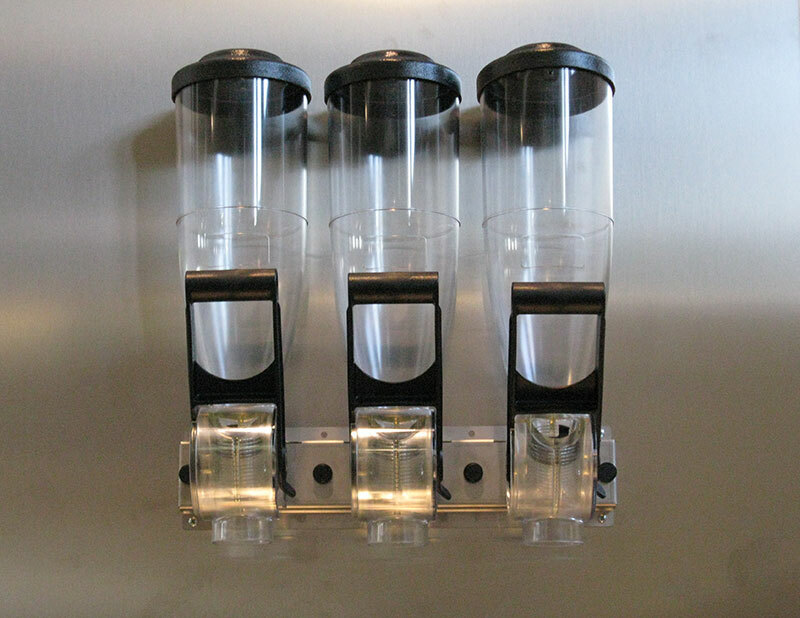 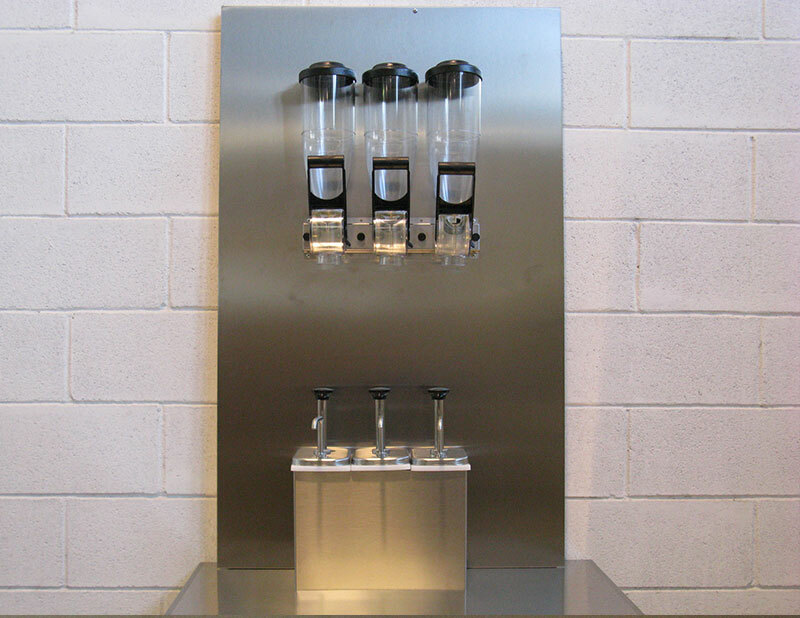 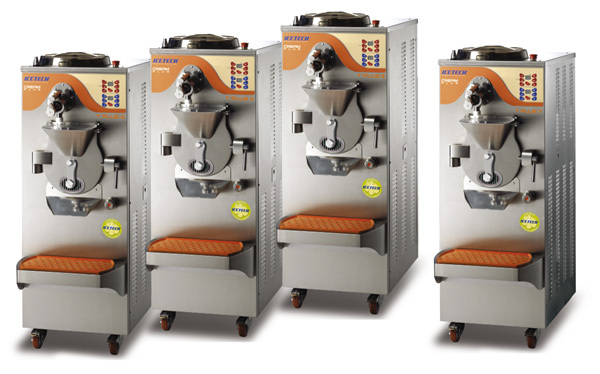 They are manufactured in several models and they can be divided into 1- or 3-taste counter machines, with or without a pump, as well as into 3-taste machines installed on the floor with or without a pump. 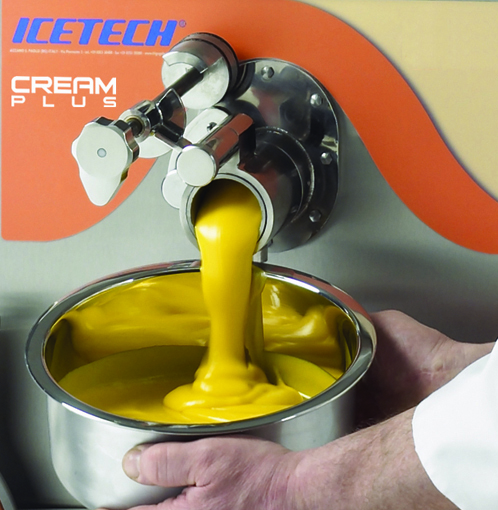 Icetech Soft machines are assisted by a modern electronic board controlling ice-cream consistency at any time by enabling the operator to monitor and to read the consistency values and the preservation temperature on the display. 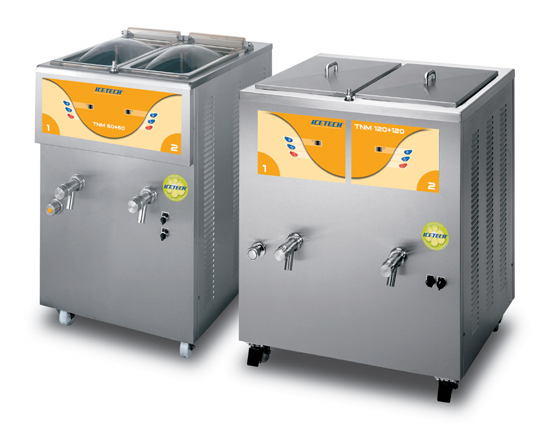 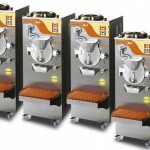 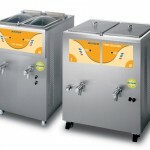 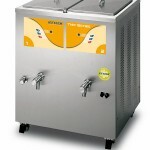 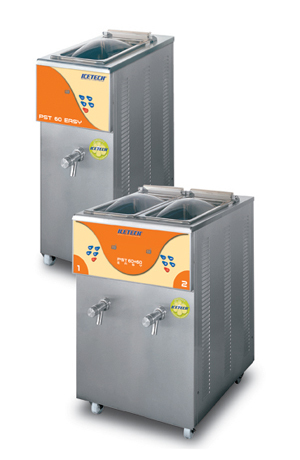 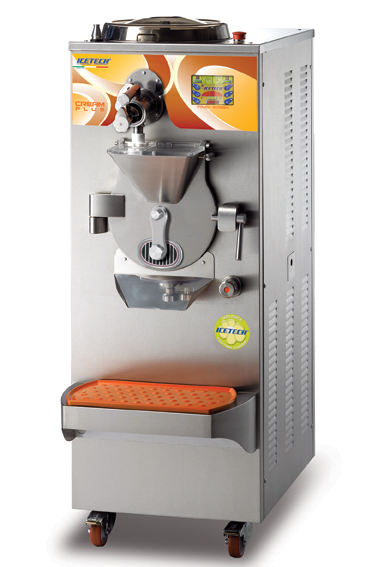 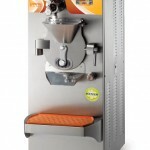 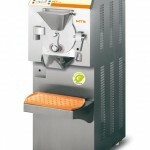 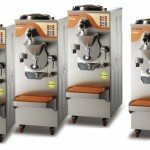 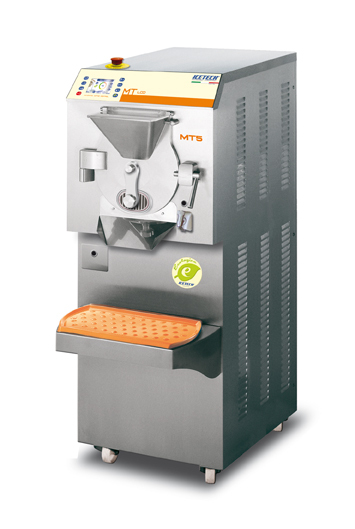 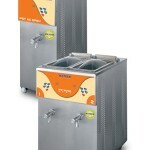 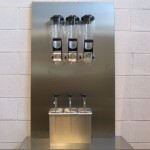 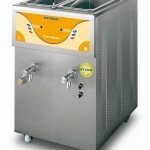 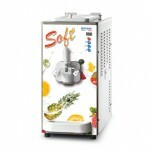 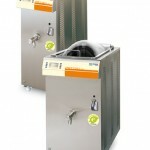 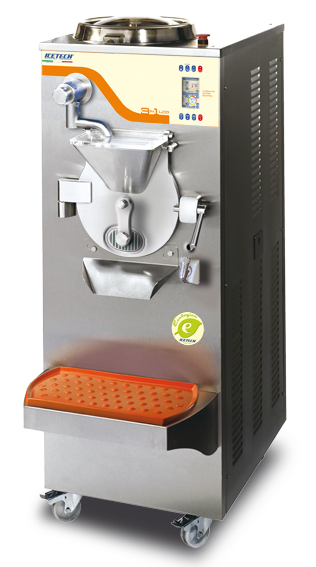 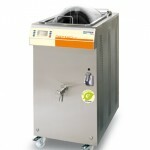 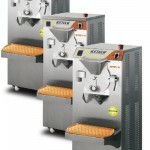 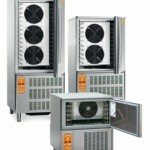 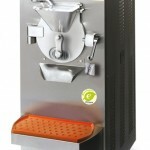 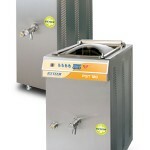 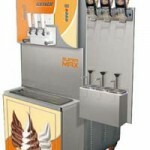 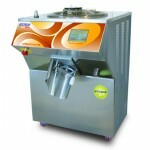 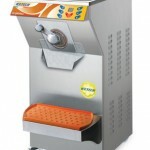 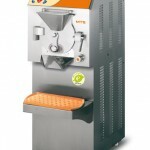 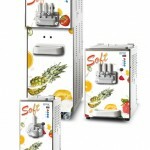 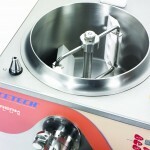 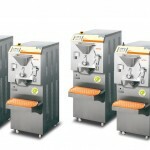 The compact version of the Soft Icetech gelato machines line has been created. 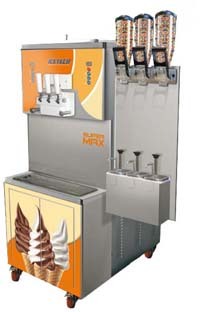 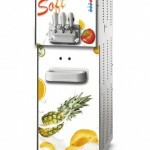 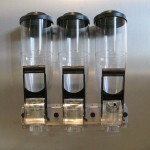 They are manufactured in several models and they can be divided into HAPPY 1- or 3-taste counter machines, with or without a pump, as well as into SMILE 3-taste machines installed on the floor with or without a pump. 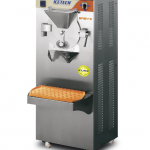 Icetech Soft machines are assisted by a modern electronic board controlling gelato consistency at any time by enabling the operator to monitor and to read the consistency values and the preservation temperature on the display. 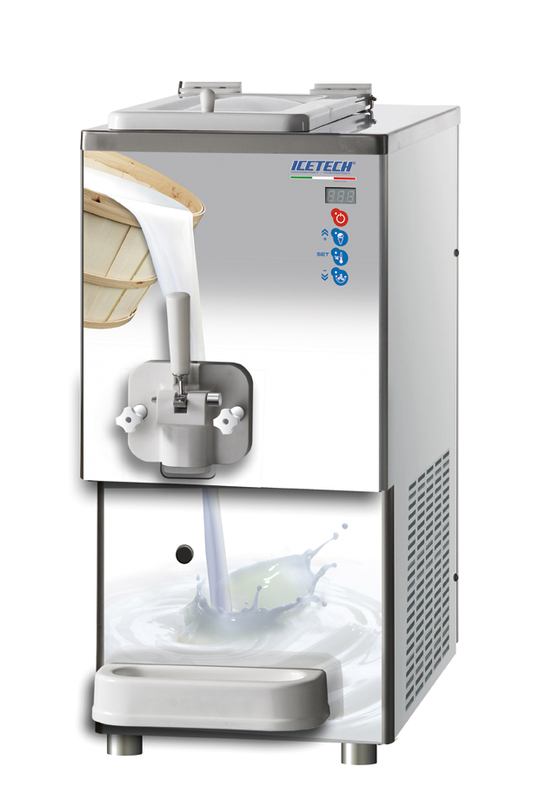 Super Max is the most powerful machine of the SOFT Icetech series. 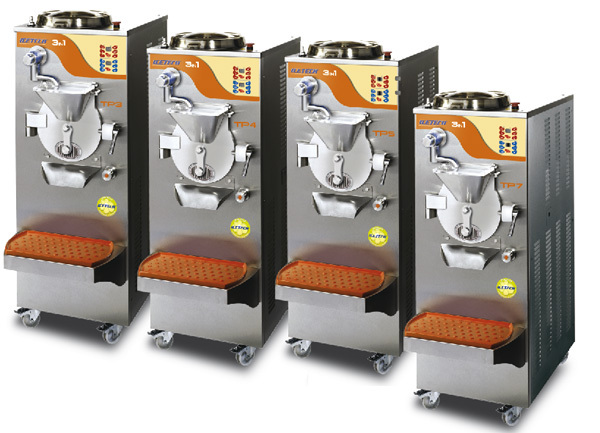 Suitable for the production of large soft ice-cream amounts, SUPER MAX is equipped with a double cooling circuit with 2 compressors, completely independent upon each other, each one dedicated to one’s own cylinder. 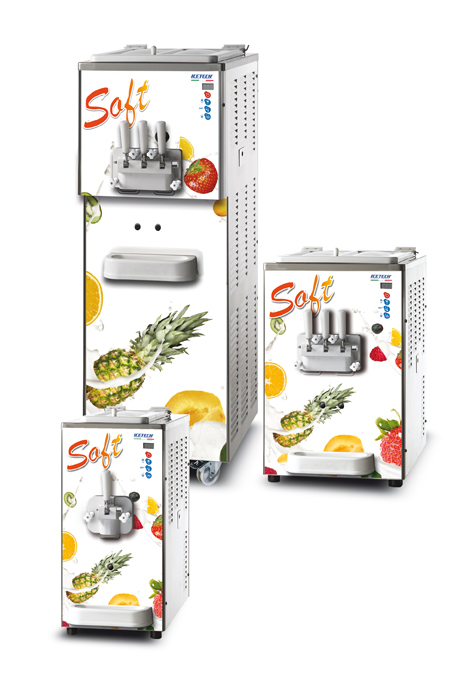 Unlike traditional models, SUPER MAX is assisted by 2 modern fully autonomous electronic boards controlling ice-cream consistency at any time by monitoring consistency and preservation temperature values on the display the operator can read. 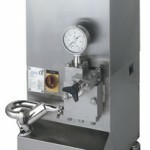 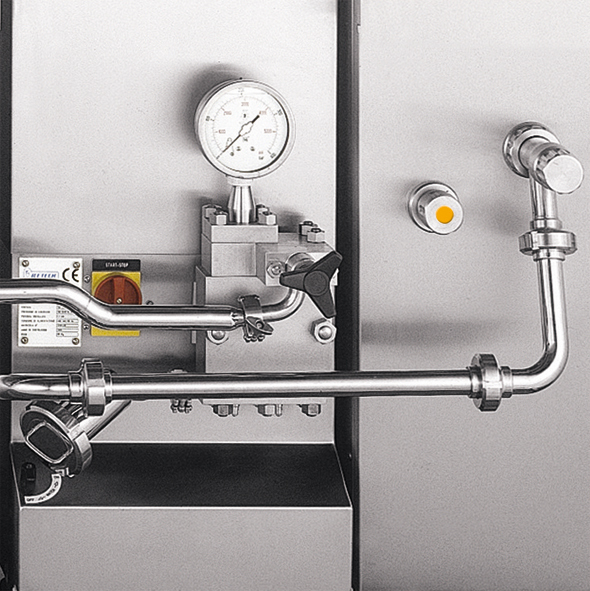 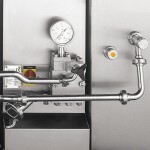 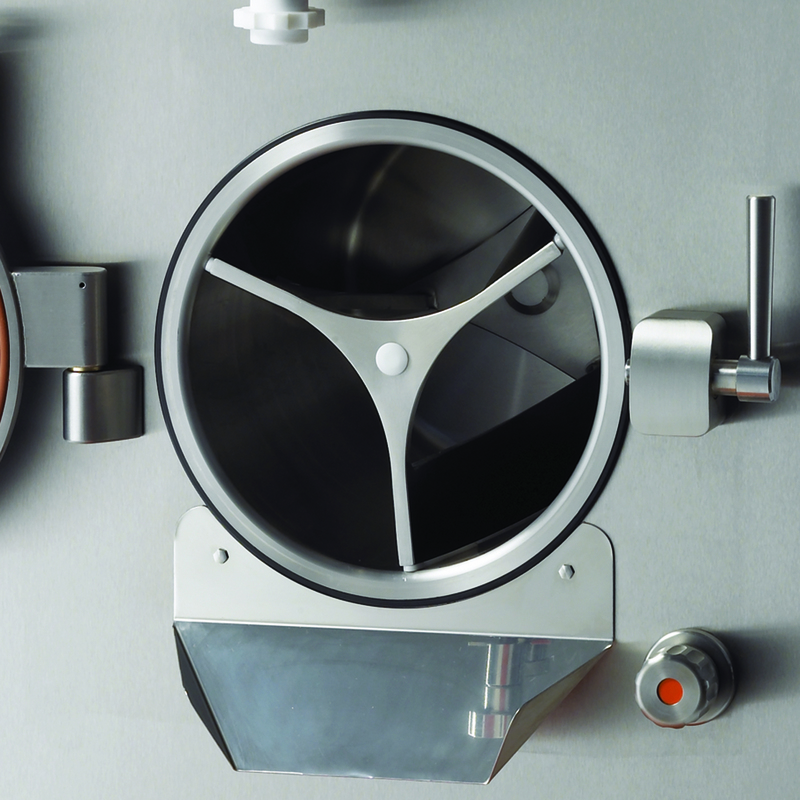 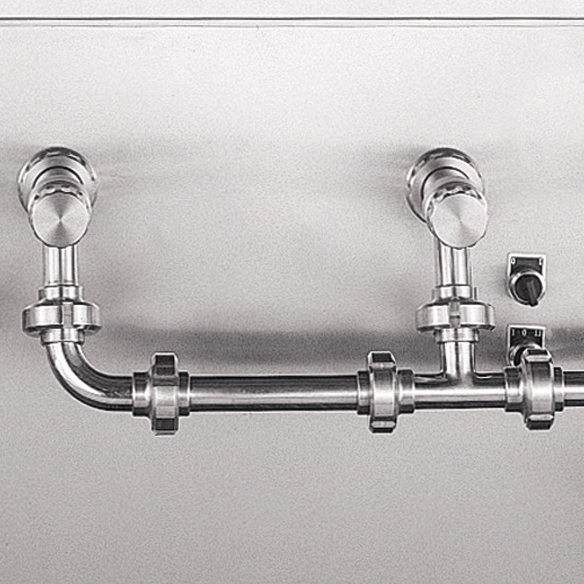 In the new machine Soft Euro Self-pasteurising, through the new Self-pasteurising system, when the heating button is pressed, the mixture contained in the upper tanks and the one in touch with all the components inside, is heated up to the pasteurization temperature of +65°C and subsequently cooled up to the conservation temperature of +4°C. 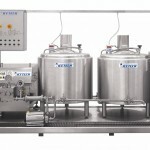 The Soft Self-pasteurising machine is also equipped with agitators placed inside the tanks that always permit a perfect mixing of the product stored inside. 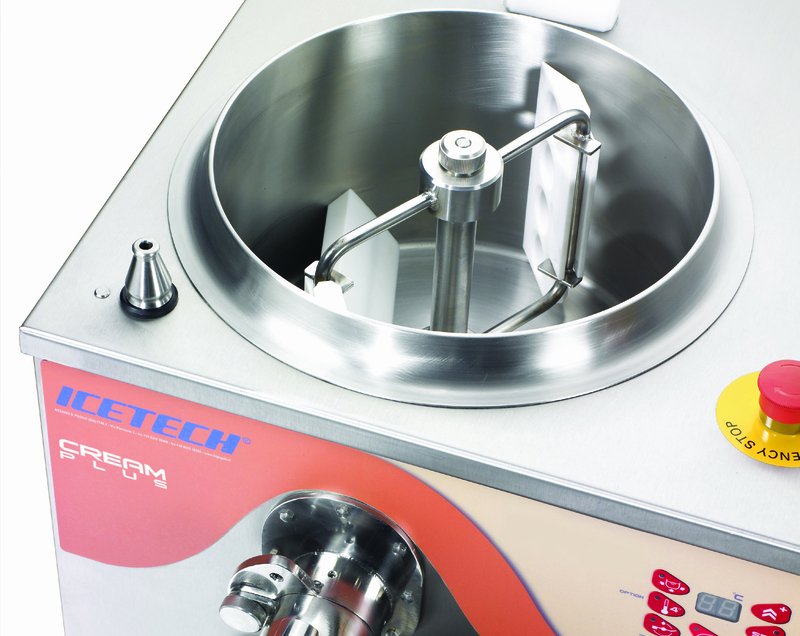 Crema Mix 14 is an innovative and extremely versatile cream-cooker revolutionising the production system.The tank has got a min. 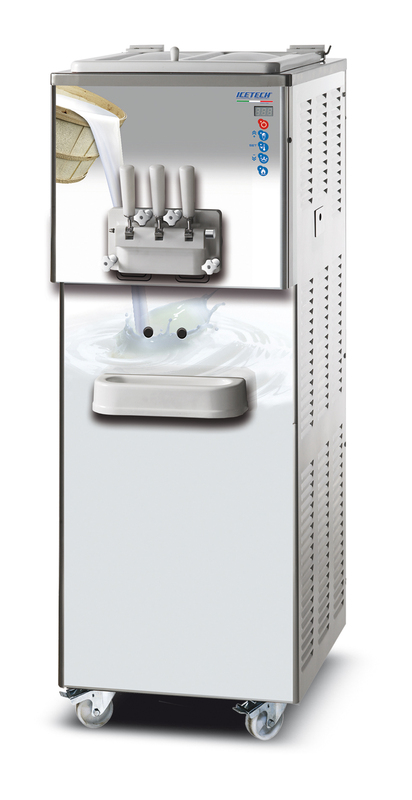 capacity of 2 litres and a max. 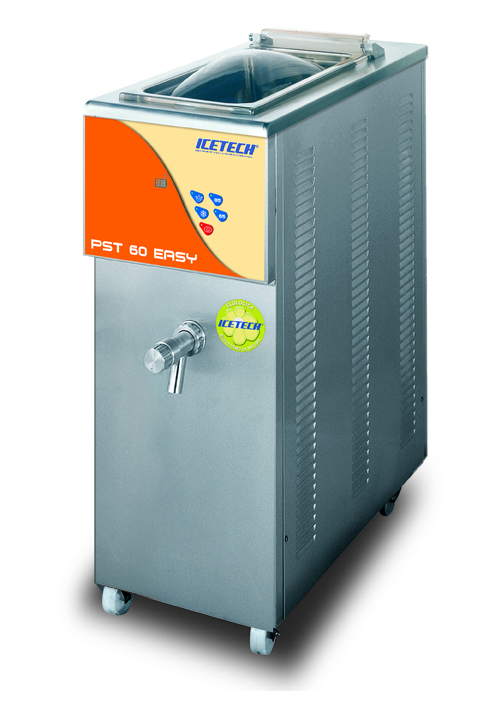 capacity of 14 litres. Crema Mix< is the new-born in Icetech family. 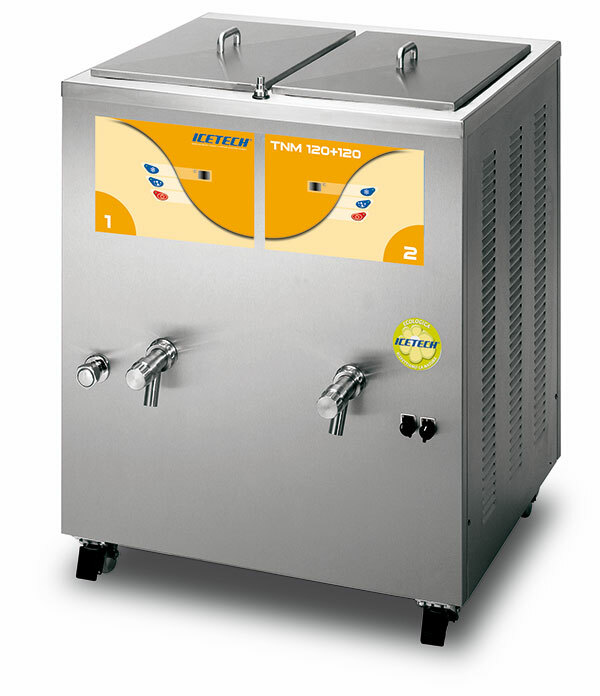 It is a multifunction water-bath cream cooker that can reach 140 °C as maximum cooking temperature, and is able to meet the requirements of the most demanding pastry maker. 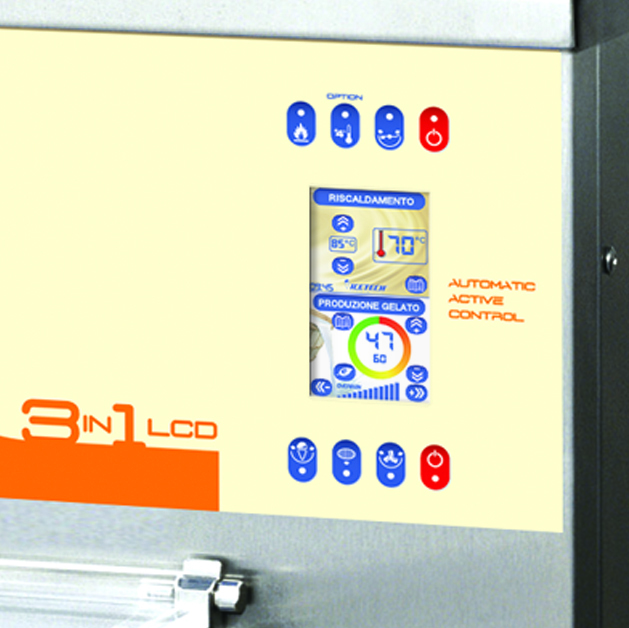 The revolutionary touch screen, allows memorising 20 automatic recipes: 17 preset recipes that can be modified by the operator and 3 more custom recipes. 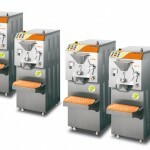 The Cream Plus, manufactured in four versions, 3-4-5-7, is a real jewel for gelato and confectioner’s industry since it is manufactured by making use of the most modern mechanical, cooling and electronic technologies at the operator’s disposal. 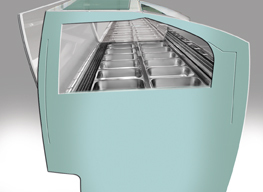 The machine is intended to heat and cool by means of a “bain-marie” system in the upper tank, thus enabling the operator to avoid any type of encrustation and to prepare gelato mixtures, delicious pastry creams (on the basis of an intermittent stirring system), extremely good jams, invert sugar and to distemper chocolate. 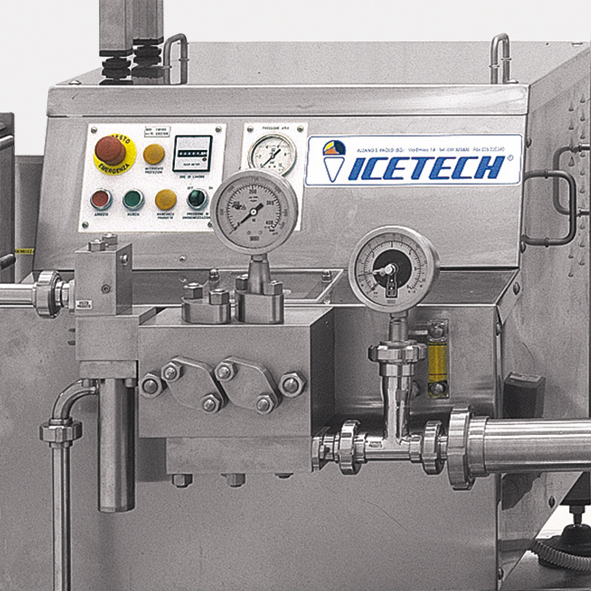 In the whipping chamber, the machine acts as a normal batch freezer of the ICETECH. 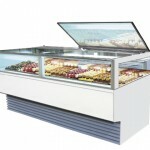 Show-case of revolutionary and modern design with technical characteristics of absolute novelty. 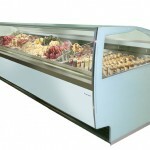 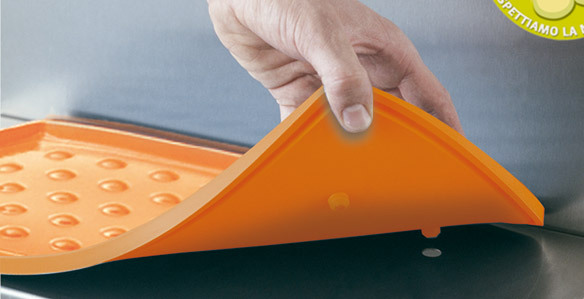 Maxi ventilation that guarantees the perfect preservation of the products on display. 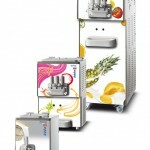 Design studied to permit the complete view of the products also from the top of the display, without any visual obstacle. 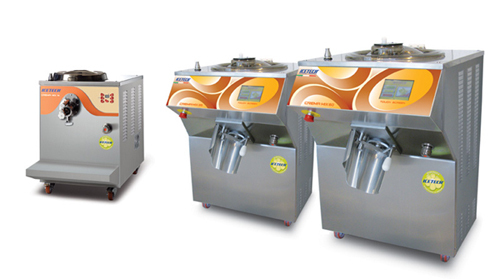 Complete line for pasteurising, homogenising and whipping the ice-cream mix including a pasteuriser, a homogeniser and a maturing vat acting as a shock freezer and whipper. 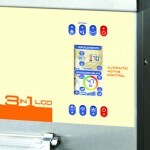 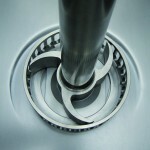 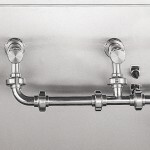 To speed up cleaning, all machines are mounted on a board completely made of stainless steel. 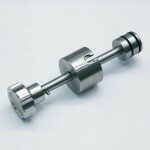 The line is composed by machinery of various production capacity, according to requirements. 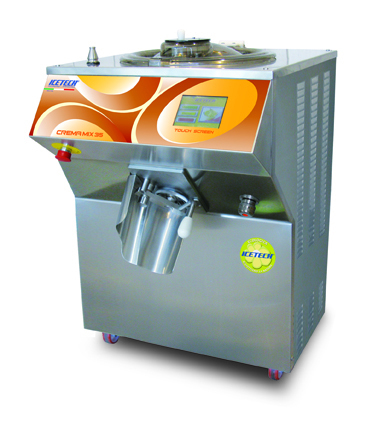 Closed-cycle continuous installation for instantaneously pasteurising, homogenising and cooling the ice-cream mix up to +4°C, including a boiler, pasteurisers, homogenisers, a cooling plate and an electric control board. 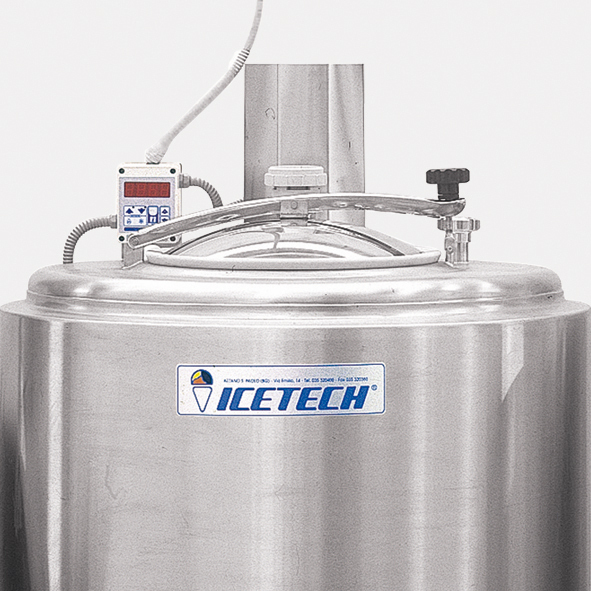 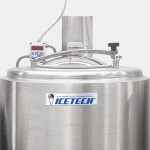 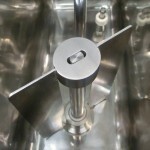 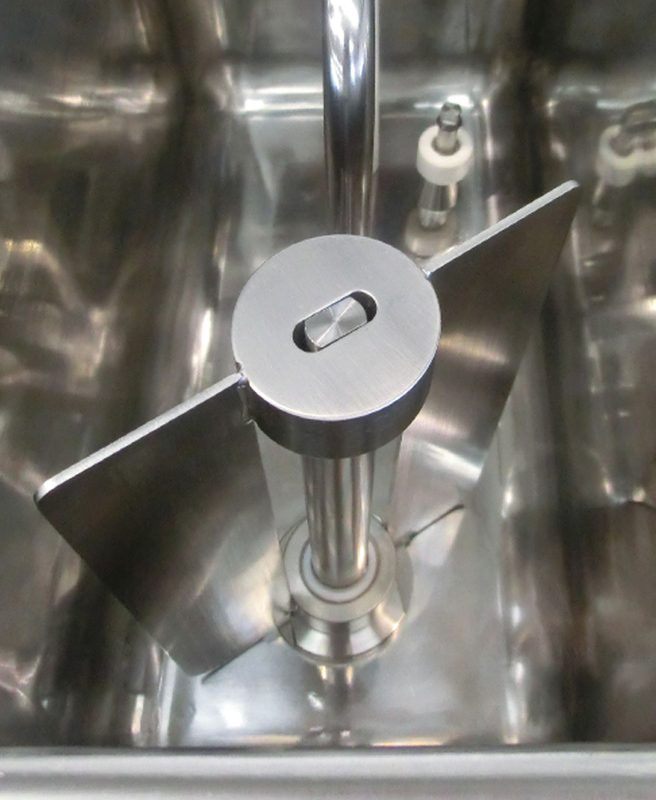 The abating devices under the Icetech trademark are wholly made of stainless steel. 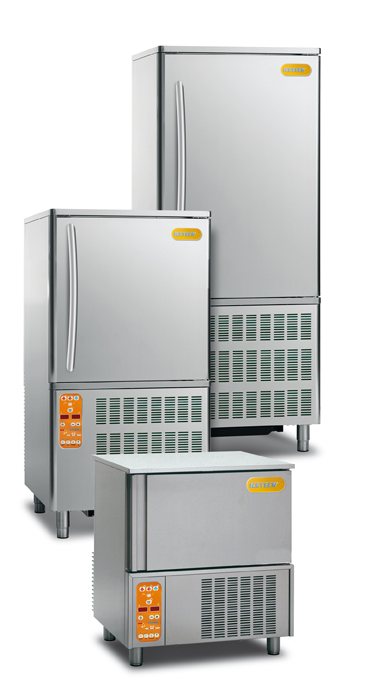 Their high refrigerating capacity will enable you to abate positive and negative temperatures in an absolutely short period of time. 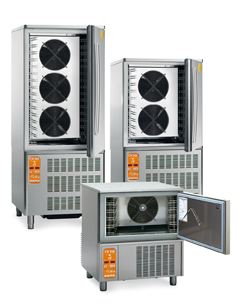 While interacting with the electronic card, the “needle” electronic probe arranged inside the refrigerating chamber will enable the operator to make sure that the product core temperature is the one wished. 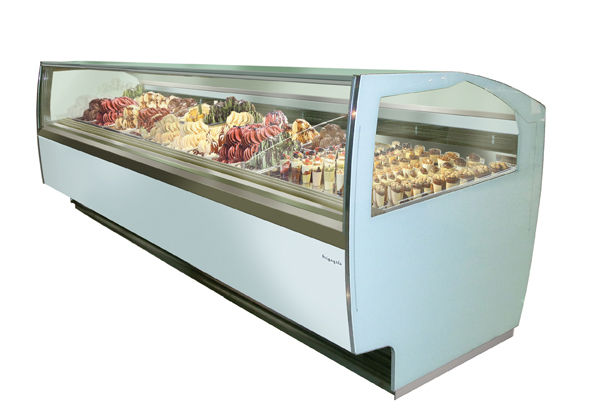 The high refrigerating power of Icetech abating devices will avoid unpleasant sudden temperature changes whenever the door is opened. 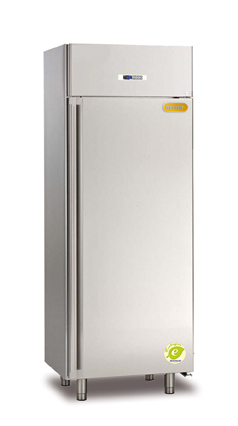 Entirely constructed in stainless steel, the refrigerated cabinets Labo and Superlabo are products that combine attractive features with high functionality of use.